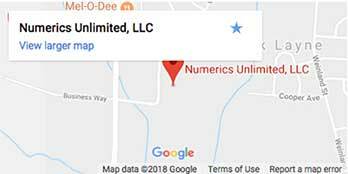 For over 20 years, Numerics Unlimited, LLC has been uniquely equipped to handle all of your heavy machining needs. With equipment built to handle everything up to hard turning and high nickel alloys, and employees who have decades of experience, we will deliver the products and services you require. 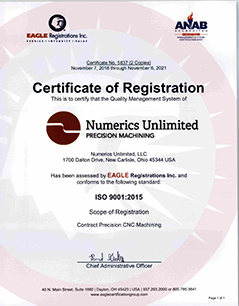 From small lot size to large volume quantities requiring dedicated machines, our CNC lathes, vertical machining centers and multiple pallet horizontal machining centers can complete your projects sooner.